How Much Does it Cost To Fly To Augusta? The cheapest flights to Augusta found within the past 7 days were $155. Prices and availability subject to change. Additional terms may apply. You have a hankering for sweet tea, and we don’t blame you. If the thought of grand antebellum homes and golf also tickles your fancy, it’s time for a trip to Augusta. Home to the Masters Golf Tournament every April, this stunning city lures visitors with history, gardens, and delicious dining. Come prepared to smell the roses, wise wanderer, because Augusta has certainly earned its nickname: The Garden City. Book one of our flights to Augusta and get ready for your trip to Augusta Regional Airport (AGS). Soon you’ll be soaking up the Southern hospitality and pointing your face toward the warm sun. After scoring big on cheap flights to Augusta, you’re ready to put together an impressive itinerary for your Georgia getaway. Of course, you’ll also need to be savvy about how you get around the city. The Augusta Canal, Pendleton King Park, and more await! Many hotels near AGS Airport will pick you up via free airport shuttle, but you’ll still need a way to explore the city. Thanks to the freedom a rental car provides, you have access to Greater Georgia on your own schedule—vehicles are available at the airport. Transportation is not limited just to hotel shuttles and rental cars, however; you can also always hail a taxi at the arrivals terminal and utilize the city’s nine bus routes. 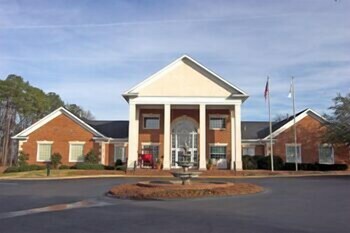 Augusta flights deliver you to a peach of a getaway in Georgia, and you can save big when you book airfare and hotels together with Augusta vacation packages on Travelocity. With your travel plans secured, the only thing left to do is pack comfortable shoes and an appetite for adventure. The Augusta river region sends out a siren song to kayakers and anglers—can you hear it? Let’s book a flight and get going! I’ve stayed in this hotel 3 times and love it every single time.